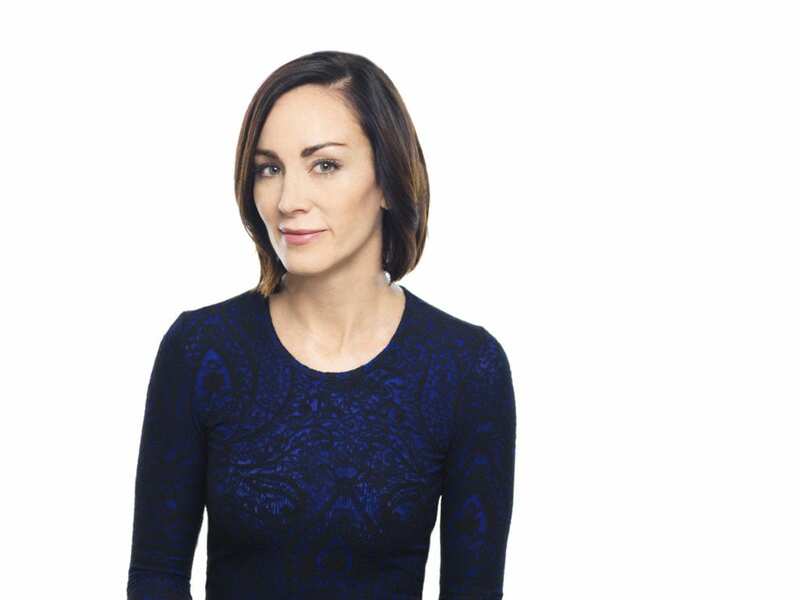 When I first met Amanda Lindhout one crisp winter day in New York City, it was hard for me to reconcile the image of her with the story splashed across the pages of her New York Times best-selling book, A House in the Sky. Lindhout—a statuesque, beautiful woman with shining brunette locks and a strong voice—was kidnapped in Somalia and held hostage for 460 days. Subjected to starvation, physical and sexual abuse, Lindhout’s tale is a harrowing one that tests the limits of human perseverance, resilience, and hope. When one hears of Amanda Lindhout’s ordeal, there is a certain expectation that Amanda will look like a victim—whatever that means. Media has been quick to use hurtful terms like “damaged woman” when describing Lindhout; but on the contrary, she has risen like a phoenix from the ashes of her kidnapping, emerging as a beacon of strength and recovery for other victims of sexual abuse. Amanda Lindhout is a survivor and in this edited interview with Unearth Women, which appears in our Fall 2018 issue, she proves it. Unearth Women (UW): It’s been almost nine years since your kidnapping in Somalia, how has the process of recovery been for you? Amanda Lindhout (AL): Coming out of that experience and coming back to the world was difficult. I felt fundamentally changed on every level: spiritually, emotionally, physically. I was experiencing severe PTSD symptoms but didn’t understand what was going on as it was all new to me. I was just living in this awful place in my mind where I was having flashbacks and panic attacks, body aches, pains, and nightmares. I tried meeting different psychologists, but I was an anomaly as nobody knew how to help me. These psychologists hadn’t dealt with people who had been tortured and raped in the ways that I had been hurt. It was through Sara Corbett, my co-author in A House in the Sky, that I was connected to a psychologist who specializes in working with survivors of torture and PTSD. This incredible psychologist has totally transformed my healing by giving me an education on PTSD and an understanding of my condition. It was through that understanding that my suffering lessened. UW: Your best-selling memoir, A House in the Sky, details your life before Somalia as well as your kidnapping. What was the experience of writing this book like? AL: When I came out of captivity, I wasn’t sure that I even wanted to write a book. When you go through a headline event such as a kidnapping, publishing houses, directors, everyone will come out of the woodwork in hopes of telling this story of 460 days of brutality and captivity. I hadn’t even started my healing process at that point, and so wasn’t interested in the idea of focusing exclusively on the violence of my kidnapping when I knew there was a lot more to the experience. I also didn’t want someone to go write the book for me, but rather, I wanted the support of a co-author. I was introduced to Sara Corbett through National Geographic journalist, Robert Draper, who I mention having met in Somalia in my memoir. When Robert initially pitched my book project to Sara, she wasn’t interested in the kidnapping story either, but out of respect for Robert’s excitement about the possibility of connecting us, she Googled my name and found an old video of me hopping over puddles in Pakistan and drinking tea on the streets in India and was like ‘who is this young woman and what happened to her?’ and decided that was the real story. The book was as much for other people to read as it was a way for me to purge my experience. I’m just so proud of that book, I think it absolutely represents the experience, which was incredibly difficult, but beautiful in what was discovered about the reserves of strength within myself. UW: You have publicly said you do not want to be labeled as a victim, but rather as a survivor. Can you explain why you feel that distinction is important? AL: In my own mind, I needed to change the narrative. I needed to change my own self-talk and what I’ve learned is that these things happen to us in life and then they’re done and become a memory. All I’m left with now in my actual day-to-day life is the memory of what happened to me in Somalia, so the way that I frame my experience in my own mind matters a lot because I can stay stuck in the story that I’m a victim or choose to see myself as a survivor. I’m not going to let my experience hold me back because what I held out for during captivity was this freedom I have today. UW: A Canadian newspaper ran a story that referenced you as a ‘damaged woman’ in its headline. It seems that women who survive traumatic events are often victimized, while men are championed. How do you feel about the media portrayal of you? AL: Here’s where I’m at with my healing: this is an opportunity for me to say to all these other women “you’re not damaged.” It’s not important for me to sit and be mad about the headlines or narrative. Sometimes the words sting but what I can do is take those headlines, turn them around for people who are reading them and say ‘this isn’t me and it’s not you either.” The headlines give me an opportunity to teach something. I lived in those stories for years, as lots of women do, but the truth is—after all the healing work that I’ve done—I see those headlines are not true at all, I’m not damaged. I’m so strong and all I’ve gone through has made me strong. UW: This year, you had to face one of your captors in a Canadian courtroom, Ali Omar Ader (known as ‘Adam’ in your book). What was it like encountering one of your captors again? AL: I never felt the need for any of my captors to be arrested, I never expected they would be, I was just moving on. The day before my 34th birthday, I got a call from my RCMP (Royal Canadian Mounted Police) contact and he told me they’ve arrested ‘Adam’ in Ottawa. I just fell to the ground, on my knees, and kept saying ‘thank you, thank you’ over and over again. The next day, my 34th birthday, I woke up and his face was on the front page of every newspaper in town alongside mine. I was pretty terrified because it was then I started to think about what his arrest actually meant for me, that there was going to be a trial and I would have to testify. I resisted it all initially. I was barely hanging onto my own health at that point. It took a lot of work with my psychologist to get me to the point of not resisting the trial and to willingly being apart of the process. By the time the court date came, there was a level of acceptance that I could see that this wasn’t happening to me, it wasn’t happening for me and that there was healing in this for me too. UW: You have become a real inspiration when it comes to compassion, resilience and the power of forgiveness. Can you explain how forgiveness has helped you on your own path of healing? AL: When people hear that I’ve forgiven my captors it’s hard for them to understand how that could happen. My motivation both in captivity and in the aftermath of it is to remember that my captors are human beings who are suffering, but at the end of the day, I need to let go of what happened for myself because I’m the container that’s holding it. The choice to forgive my captors is a selfish choice—selfish in the best possible way—as I am finding a way to let go of all those negative emotions attached to my experience. I challenge myself to find compassion in my heart for them because they are hurting too. Forgiveness is an ongoing thing that you contemplate, strive for and reach for. I don’t get to forgiveness every day and that’s okay. It’s not about never feeling anger or sadness, but instead about bouncing back and getting back to center quickly. *A longer version of Amanda Lindhout’s interview appears in the Fall 2018 ‘Resilience’ issue of Unearth Women, available for sale now in both digital and print.